The management of SAL Heavy Lift are committed to ensuring healthy, injury-free workplaces and minimizing their impact on the environment. All of our staff are committed both to ensuring their own safety and to protecting the environment. By implementing an integrated management system, SAL Heavy Lift has demonstrated its commitment to ensuring its employees’ safety and protecting the environment, in addition to providing high-quality heavy-lift transport. To ensure a consistently high level of quality, SAL Heavy Lift aligns its business processes to tap synergies whilst ensuring and fostering a culture of continual improvement in accordance with the ISO 9001 standard under which we are certified. In addition to the objectives defined in our QHSE policy, SAL Heavy Lift’s employees receive appropriate training, both on board and ashore. In line with our SAL QHSE policy, our Quality & Safety department works to implement this policy in our fleet of vessels. By stressing three key aspects – people, processes, and tools – they strive to enable our crews to bolster the culture of safety which thrives at SAL Heavy Lift. This culture involves closely monitoring projects from the planning stages all the way to successful completion. 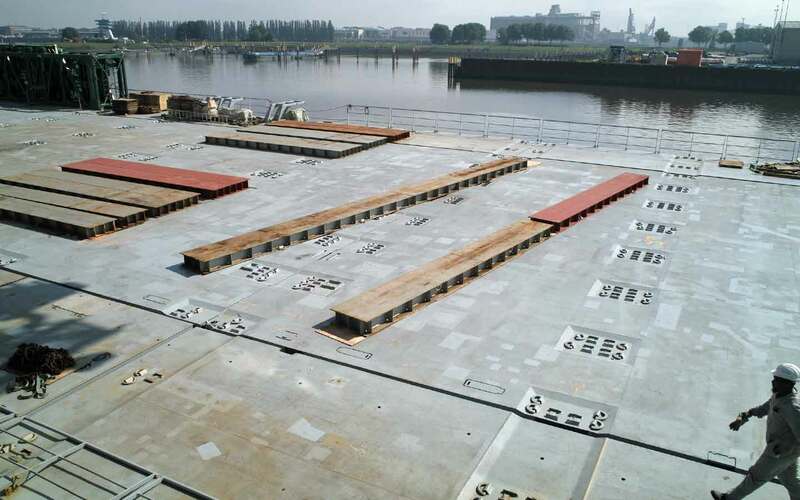 Because of the delicate nature of most heavy lift cargoes, they perform risk assessments, hold toolbox talks and ensure the maintenance of critical equipment to optimize safety during loading, sea passage and discharge. To keep our shipboard teams fully informed about the latest HSE practices, SAL Heavy Lift runs a comprehensive training program involving regular seminars in Germany and the Philippines. Our crews have the opportunity to provide feedback, both on aspects where we could all improve and on improvements which have already been successfully introduced. Members of our Quality & Safety department frequently board the vessels to carry out and monitor operations and training activities and participate in on-board safety committees. The high incidence of piracy in the Gulf of Aden and adjacent waters poses a persistent threat to onboard security. To address this, SAL Heavy Lift has developed a comprehensive Best Management Practice (BMP) plan as an emergency guideline. The BMP includes rules for transiting high-risk areas and dealing with actual pirate attacks and hostage situations. All vessels entering the Gulf of Aden are registered for the Internationally Recommended Transit Corridor, which they traverse for added security and to facilitate military action if required. The company has developed a set of special precautionary measures to protect crews, vessels and cargo whilst passing through this high-risk area. SAL Heavy Lift upholds the highest standards in respect of QHSE: all vessels are certified according to ISO 14001 and OHSAS 18001. Type 183, 176 and 116 have Environmental Passports confirming this compliance.